Die or D.I.Y.? 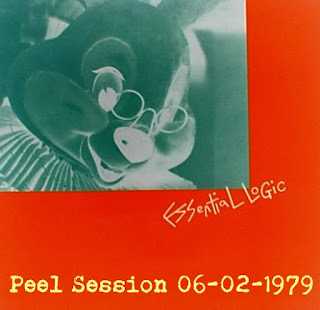 : Essential Logic - "Peel Session 06-02-1979"
Early Essential Logic as recorded for posterity by the British propaganda broadcasting corporation;but this is the kind of propaganda that should be spread far and wide. The BBC has outlived its usefulness,in terms of new culture,as it strives further towards populism and raising finance by producing programming for the lowest common denominator. There was a portal for low appeal music and culture on the John Peel show between 10 and midnight for five, then four nights a week after Tommy Vance's 'Friday Rock Show' got the friday slot! Lora Logic's post X-Ray Spex outfit,Essential Logic, were classic 'low appeal' culture for outsiders. This session has the sound of a band who had been up all night, a few missed queues and introductions by a husky voiced Logic seem to point to a gig having been played the previous evening, which only adds to the authenticity of this session. DOWNLOAD this essential peel session HERE!